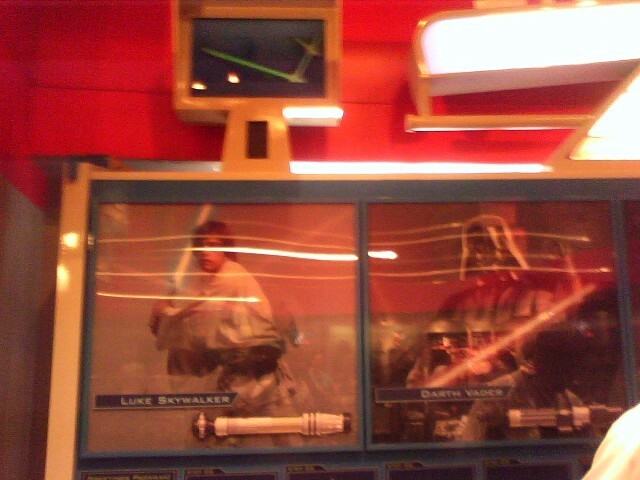 Not sure how old this is, but a Build Your Own Lightsaber stand has been added into Star Traders in Tomorrowland. 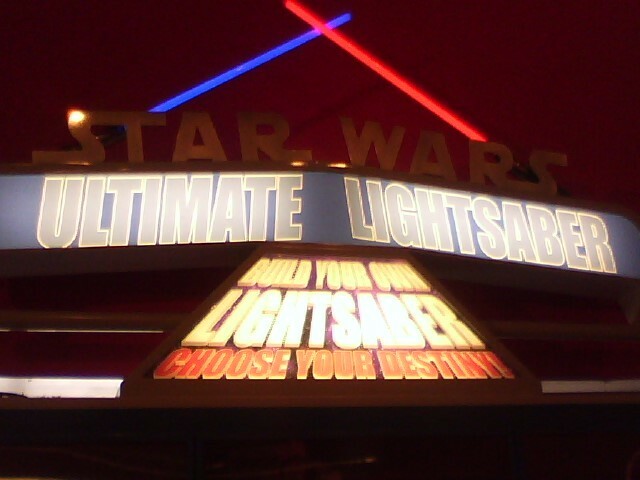 Basically, it’s a Build-A-Bear type building station, but in this case, you get to make your own Lightsaber. Different Star Wars character’s Lightsaber’s are available to mix & match, a really cool concept! Also at the top of the stand, there are a couple of screens showing various Lightsaber involved battles from the 6 Star Wars movies. The price for this great collectible is $20!